Each book has ranked as a number one bestseller on Amazon. Blair's mantra has always been “LOVE NEVER DIES.” It's a message that he believes he is called to deliver. 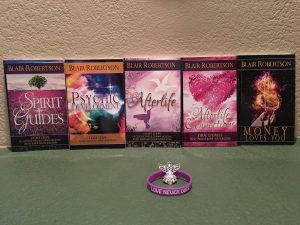 Purple is Blair's favorite color, as it was the color that glowed when he saw his grandmother in a vision… the same one who proved that while she had transitioned, her love had never died. 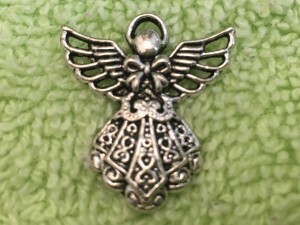 You'll also get a beautiful Guardian Angel charm to carry with you (or attach it to something to wear). 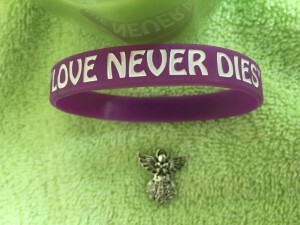 These Guardian Angel charms have been to Sedona, Arizona with Blair and Wendy and ‘energized' in the vortexes of Sedona. Blair has also asked spirit to protect anyone who carries one. 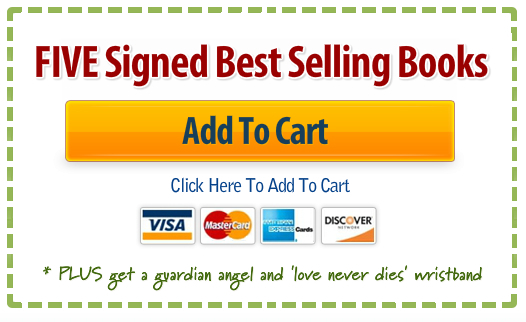 Get all five signed books, the bracelet and charm for only $44.99US plus shipping and handling. We only have a limited supply, so order yours today.